YouMo goes VeloFrankfurt – off to the next tradeshow! 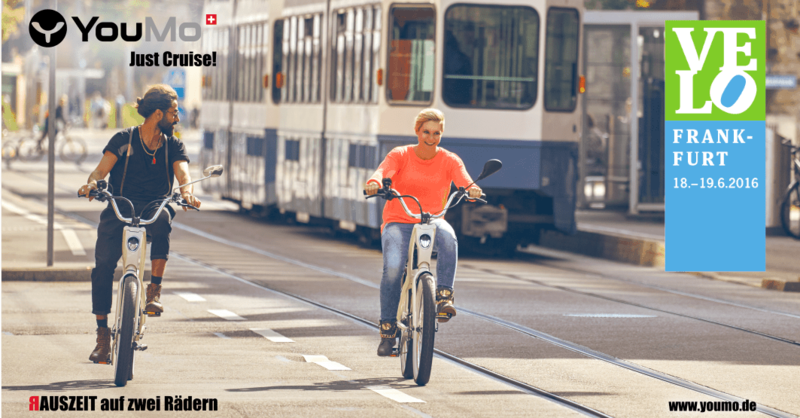 Experience the indescribable feeling of riding one of our YouMo e-cruisers at the VeloFrankfurt. We call it OUTDOORS TIME! At Booth F15, you will not only be able to admire our YouMo models, but also have a chance to take advantage of attractive tradeshow promotions. Of course we also have some surprises in store for you! You will be able to thoroughly test ride our YouMo e-cruiser models on a large test route with different inclines.